events on the East Coast. This is how it comes together. The GW Invitational is one of the two biggest college rowing events on the East Coast—the Clemson Invitational is the other—and, anecdotally, the one with the best scenery. "You can't think of a non-championship collegiate race that has as many people there," GW men's rowing coach Mark Davis says of the event, which takes place in April. "There isn't one." To set up, run and take down the GW Invitational—which draws about 1,000 people and includes the erecting of a 10-by-16-foot TV screen—it takes a crew of 50 to 75 people a day and a half to get the 1.25-mile, three-lane course along the Georgetown waterfront ready for two days of racing on the Potomac River. After 28 years, it's a certified to-do, attracting fans, parents and the odd passersby drawn by curiosity. The guy doing play-by-play through a loudspeaker aimed at M Street probably helps, too. You don't just go out on the Potomac and race 12 teams' worth of nine-person, 60-foot boats 2,000 meters 56 times. This is Washington, and there is bureaucracy to abide. For the invitational to go on, it needs permits from the Thompson Boat Center, the National Park Service, the D.C. police and the U.S. Army Corps of Engineers. Organizers also need to pay for marine patrol as well as NPS police and rangers. The invitational can't close the Potomac for the event. There's too much traffic. So it shares. But there are still problems. If boats buzz the race at any faster than idle speed—about 5 mph—there are wakes that make it hard to row the low-sitting vessels. There are also tourists on stand-up paddleboards and rented kayaks who sometimes blunder into the race lanes. That happens about once a year. There haven't been any collisions. "You're looking at a -foot boat," GW women's rowing coach Eric Carcich says. "With Mark's guys, that's probably 1,800 pounds in those boats, going 10 to 13 mph, barreling down with blades that are basically 12 feet extended on each side. It's scary what could happen if there's a stand-up paddle boat that gets swiped by one of these boats." April is a nice time to have the invitational because it means the Potomac is good for racing. And what makes a river good for racing? Tranquility and depth. Waves are bad, so is wind. Under 10 mph is ideal. Gusts over 20-25 mph will get a race canceled. Deep water also is preferable. Where the race happens, it's about 25 feet deep. The Potomac can get as deep as 107 feet. It wasn't always called the GW Invitational. 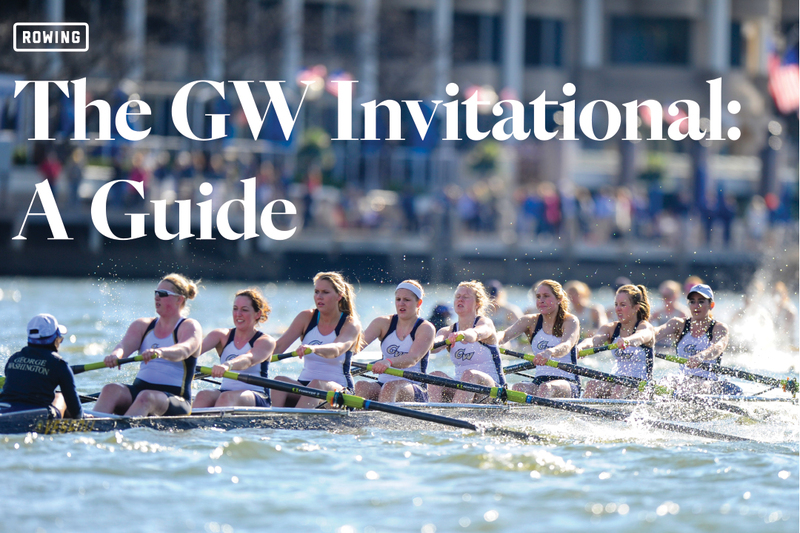 In its 28 years, the event has gone through five names: GW Cherry Blossom Invitational Crew Classic (1988-89), GW Invitational Crew Classic (1990-2006), GW Invitational Regatta (2007-10) and GW Invitational/Potomac Challenge before becoming the GW Invitational in 2012.